let the skeleton come out. strive to overcome your doubt. freely at its pace and will. a place to rest and to stand still. into your life he came. know the place where he likes to be. where your skeleton had been. anew your life will begin. 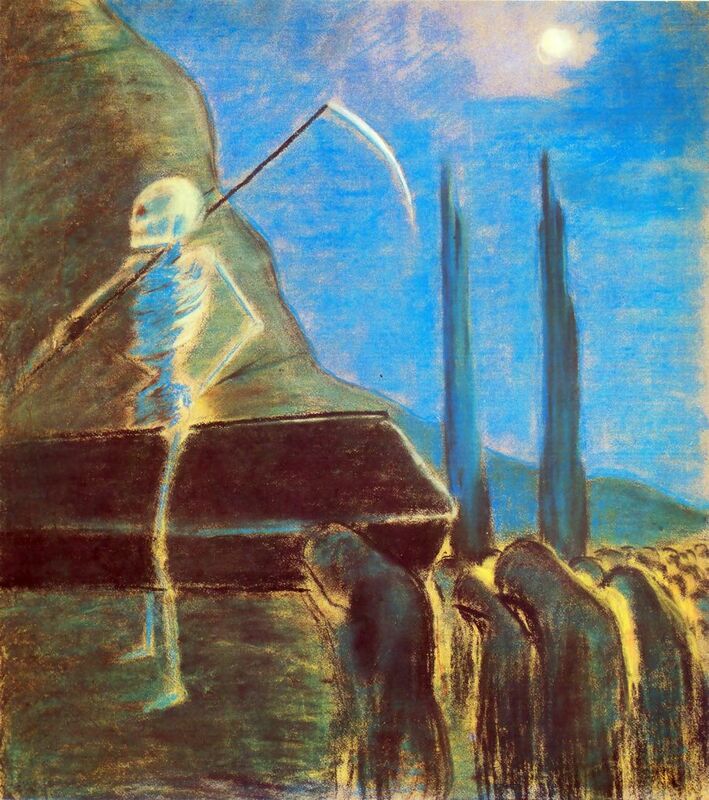 *Painting “Funeral Symphony” by Mikalojus Ciurlionis, 1903.
it matters not one bit. my life is as I see it. only what my genes permit. to those who never quit. to think as I see fit. No one is a different sort. to death we all submit. 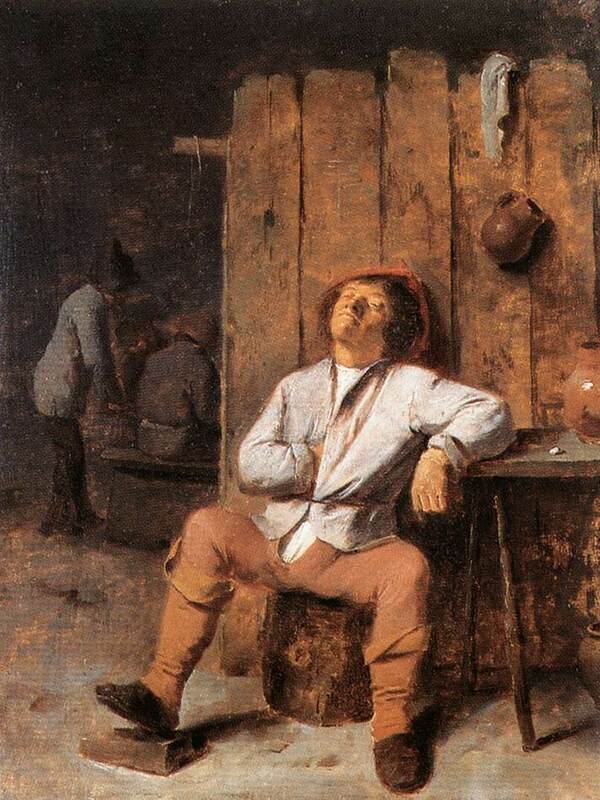 *Painting “A Boor Asleep” by Adriaen Brouwer. and spin in vain my prayer wheel. Is this my life, is this my fate? For thousand years I wait and wait. Myself I can invent, create. From nothingness to something real. 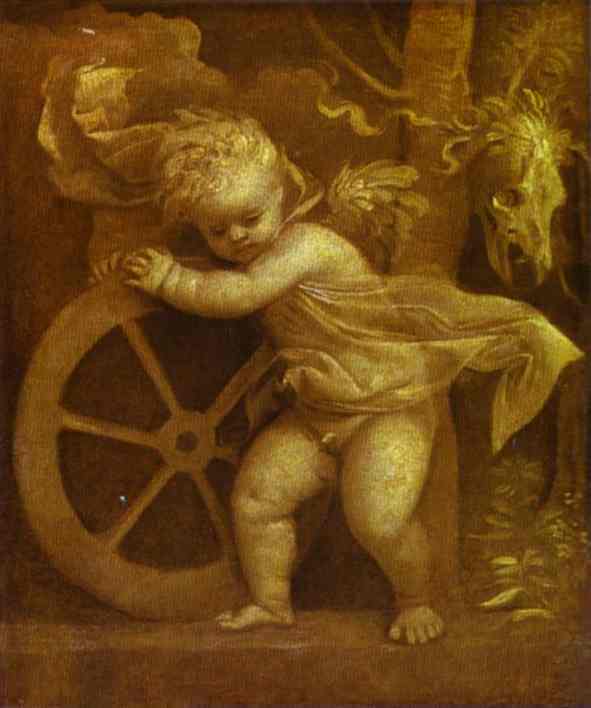 *Painting – “Cupid with the Wheel of Fortune” by Titian, c.1520. I do not care what comes after. My prayer is a merry laughter. Life is but a yearning for the hereafter. A hope to cancel nature’s law. 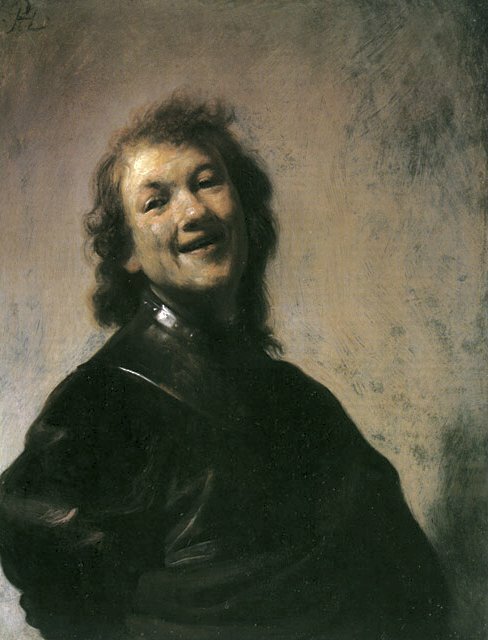 *Painting – “The Young Rembrandt as Democritus the Laughing Philosopher” by Rembrandt, 1629.